Make this year’s New Year’s resolution a lifestyle resolution. Yeah! It’s almost 2019! I can hear the champagne bottles poppin and the weights clanking! We get a brand new, shiny new year, a fresh start, a clean slate. Each year, millions of people make New Year’s Resolutions. How many actually keep them? High on the resolution list is “GET IN SHAPE.” I wonder how many stick to them past the first month? 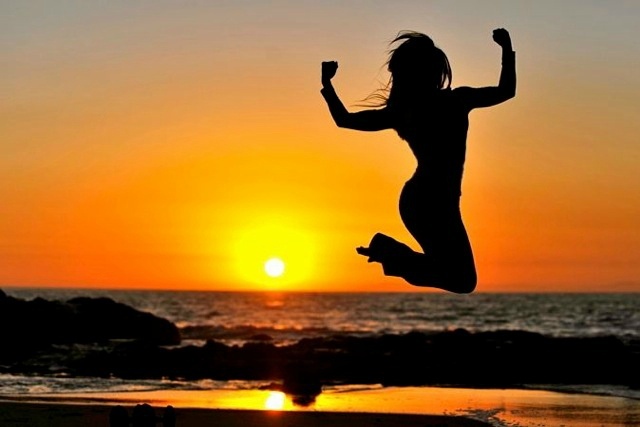 Studies show that health club rates sky rocket in January and drop dramatically in February. The very best way to get fit and stay fit is with a lifestyle change. For fitness to truly be your way of life it must be a realistic & simple change that is easy for you to do year after year. Having lived the fitness way of life my entire life, it’s got to be a change of mindset and a commitment to yourself. Take things day by day and be so very proud of every step you make toward you goal. Focus on the positive, don’t dwell on the negative. The easiest way to make fitness a regular part of your day is to make it oh-so simple to get your workout done. This means condensed, action packed but shorter duration workouts that train multiple muscles at once. Long gone are the 2 hour weight training sessions I used to do in college & bodybuilding days. I literally would be at the UCLA John Wooden Center Gym training calves until 11pm before hitting the sororiety parties. Classmates thought I was crazy. 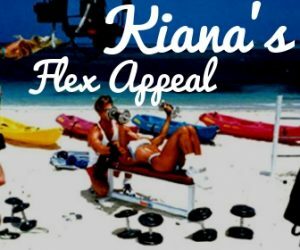 To easily fit regular workouts into my busy daily life, I have developed my Kiana Flex Training Method 🙂 every single component of my training style is flexible to give you the best results, keep your muscles stimulated and mind motivated. All of my workouts change up the exercises, equipment, workout routine, intensity, duration, technique. Every workout is a full body blast in 15, 30 – 60 minute stackable sessions (meaning you can combine or stack multiple workout videos to fit your energy level and available time) For example, one day I may be really busy and can only fit 15 minutes, another day 60 minutes. One day I may have tons of energy and slam out 90 minutes another day I didn’t sleep enough so I’ll do 15 minute light weights. When it comes to fitness: the key is consistency and do a little alot. KIANA PRINCIPLE: Every workout session is different. No two workouts are the same. This makes for better results, a stronger, fitter body & much more FUN!!! STRONG – we lift weights. Heavy weights. You must train in the range of 50%-65% of your 1 rep max to yield results. F.F. FUNCTIONAL FIT – Work your muscles the way you need them to move in daily life activities. This prevents injury and help you stay agile, develop core strength & stay youthful. GO BIG: All of my moves are BIG. BIG Moves burn BIG calories in the same time as it does to do a single joint exercise. CHANGE – No 2 workouts are the same. The best results come from keeping your muscles guessing and using them in new ways each workout. YES! KIANA GET ME FIT!